Today, a long-expected party will take place at campus. This is a theme party, intended for FOSJOAS intelligent self-balancing scooters. 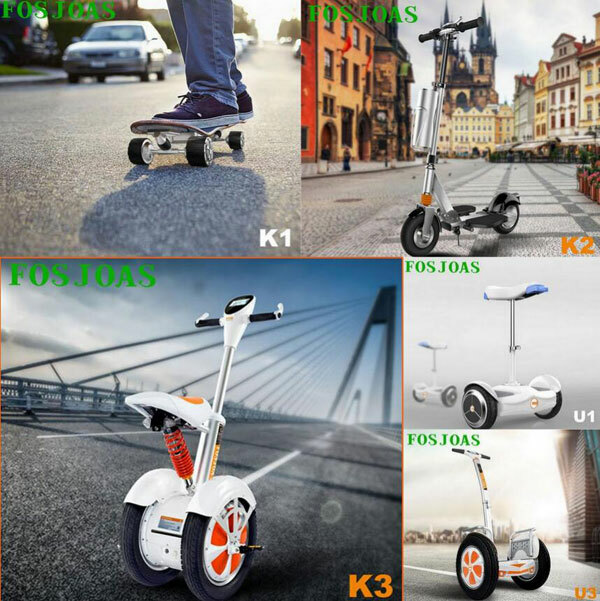 Recently, there is a strong vogue for FOSJOAS electric self-balancing scooter at campus. A lot of students are into them. On day, it is ubiquitous in every nook and cranny of the college. As the number of electric scooters and scooter-lovers, some communities and organisations have sprung up overnight. The party that will take place is initiated by the largest community of FOSJOAS intelligent self-balancing scooters. George, Leon, Dona and Steven are the main members of this community. They found the community and came together for the same interests in FOSJOAS intelligent self-balancing scooter. Steven is adept in FOSJOAS electric unicycle. His showing of riding electric unicycle V9 will take the audience aback. The thrilling and amazing wheelie surely wins over the likings of every audience. Today's party is a golden outlet to show his excellent skills. He will ride his precious intelligent one-wheel electric scooter V6. Actually, not all rider can ride the FOSJOAS V6 as expertly and smoothly as Steven does. Having watched his showing, one will find how easily he steers his electric unicycle V6. However, he in fact will figures it is a formidable job to steer V6 that smoothly if he is asked to ride it. Dona bought one set of two-wheeled cheap self balance wheel K3. The stately FOSJOAS K3 is the newly released model by Moben Global Inc. The moment it saw the light of the day, it caught on soon. There are many scooter-lovers who have not yet wittiness FOSJOAS K3. It is said that K3 is a mixture of all the latest technology and design in the sector. These advantages keeps it ahead of time. Other models lags far behind it in terms of design and technology. Dona intensely like it and she is disposed to share it with all the scooter-lovers who will take part in today's party.